I am an author, journalist and broadcaster and one of the few independent experts on olive oil outside the producing countries. I have been working with olives and olive oil for more than twenty five years, travelling the olive oil world and tasting oils from the around the Mediterranean as well as from North America and the southern hemisphere. 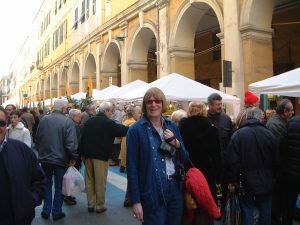 I have written five books on olive oil as well as numerous articles and blog posts. 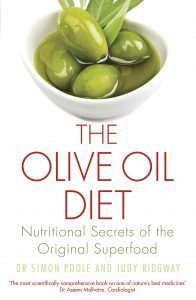 My latest book The Olive Oil Diet, written in conjunction with Dr. Simon Poole a leading authority on the nutrition of olive oil and the Mediterranean Diet was published recently by Robinson Books. My other books on olive oil include Remarkable Recipes from the people who really know about extra virgin olive oil – the producers. Back in 1993 I was commissioned by the then EEC to write a paper on quality, taste and flavor in olive oil. This paper, which contains an extensive vocabulary for describing olive oil, is regularly up-dated and is currently available as a booklet. I sat as a judge for the prestigious international Leone d’Oro awards in Italy for eight years and my work now includes product assessment for both growers and buyers. In the early 2000s I devised and co-presented the first Savantes courses in Australia and subsequently in Spain, Italy and the UK. I now run regular olive oil tasting and appreciation classes in London and Brighton as well as staff training courses and tutored tastings and seminars. 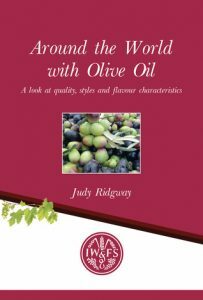 I have also written more than 60 books on various aspects of food and wine which are unrelated to olive oil, the latest being A Banquet on a Budget, published in May this year. Later in the year Quick and Delicious Vegetarian Meals is due for release. Earlier books include Food for Sport and Fitness and The Wine Tasting Class which was nominated for a Julia Child Award in America.